For almost a century now, the concept of terraforming has been explored at length by both science fiction writers and scientists alike. Much like setting foot on another planet or traveling to the nearest star, the idea of altering an uninhabitable planet to make it suitable for humans is a dream many hope to see accomplished someday. At present, much of that hope and speculation is aimed at our neighboring planet, Mars. But is it actually possible to terraform Mars using our current technology? According to a new NASA-sponsored study by a pair of scientists who have worked on many NASA missions, the answer is no. Put simply, they argue that there is not enough carbon dioxide gas (CO2) that could practically be put back into Mars’ atmosphere in order to warm Mars, a crucial step in any proposed terraforming process. 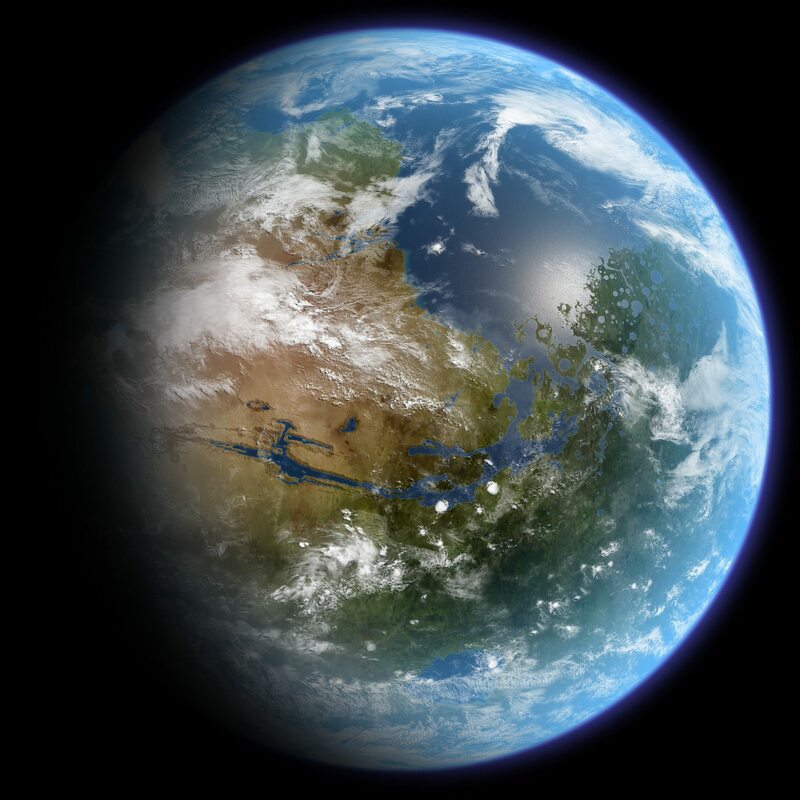 The study, titled “Inventory of CO2 available for terraforming Mars“, recently appeared in the journal Nature Astronomy. The study was conducted by Bruce Jakosky – a professor of geological sciences and the associate director of the Laboratory for Atmospheric and Space Physics (LASP) at the University of Colorado, Boulder – and Christopher S. Edwards, an assistant professor of planetary science at Northern Arizona University and the leader of the Edwards Research Group. The study was supported in part by NASA through the Mars Atmospheric and Volatile EvolutioN (MAVEN) and Mars Odyssey THEMIS (Thermal Emission Imaging System) projects. Whereas Professor Jakosky was the Principal Investigator on the MAVEN mission, Professor Edwards is a participating scientist on the Mars Science Laboratory Curiosity Rover (MSL), and worked on the Mars Odyssey THEMIS mission (among other Mars missions). As we explored in a previous article, “How Do We Terraform Mars?“, many methods have been suggested for turning the Red Planet green. Many of these methods call for warming the surface in order to melt the polar ice caps, which would release an abundant amount of CO2 to thicken the atmosphere and trigger a greenhouse effect. This would in turn cause additional CO2 to be released from the soil and minerals, reinforcing the cycle further. According to many proposals, this would be followed by the introduction of photosynthetic organisms such as cyanobacteria, which would slowly convert the atmospheric CO2 into oxygen gas and elemental carbon. This very method was suggested in a 1976 NASA study, titled “On the Habitability of Mars: An Approach to Planetary Ecosynthesis“. 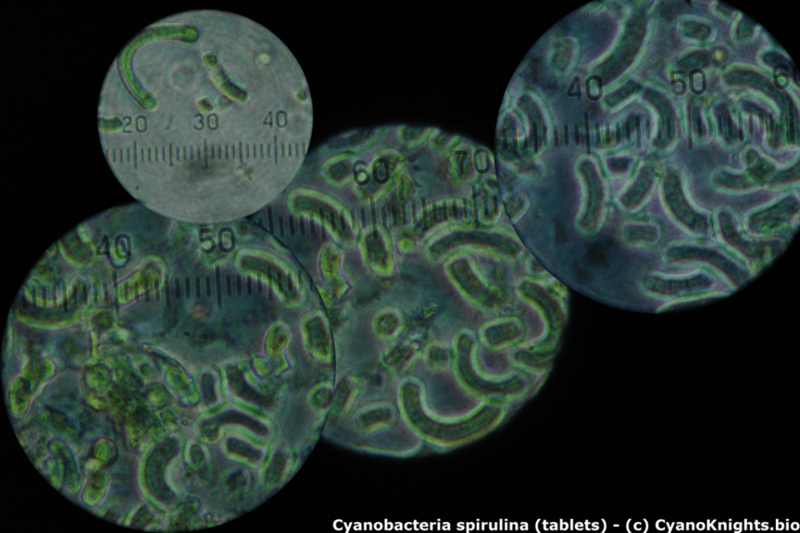 Since that time, multiple studies and even student teams have proposed using cyanobacteria to terraform Mars. Although Mars has significant quantities of water ice, previous analyses have shown that water vapor would not be able to sustain a greenhouse effect by itself. In essence, the planet is too cold and the atmosphere too thin for the water to remain in a vaporous or liquid state for very long. According to the team, this means that significant warming would need to take place involving CO2 first. However, Mars atmospheric pressure averages at about 0.636 kPA, which is the equivalent of about 0.6% of Earth’s air pressure at sea level. Since Mars is also roughly 52% further away from the Sun than Earth (1.523 AUs compared to 1 AU), researchers estimate that a CO2 pressure similar to Earth’s total atmospheric pressure would be needed to raise temperatures enough to allow for water to exist in a liquid state. According to the team’s analysis, melting the polar ice caps (which is the most accessible source of carbon dioxide) would only contribute enough CO2 to double the Martian atmospheric pressure to 1.2% that of Earth’s. Another source is the dust particles in Martian soil, which the researchers estimate would provide up to 4% of the needed pressure. Other possible sources of carbon dioxide are those that are locked in mineral deposits and water-ice molecule structures known as “clathrates”. However, using the recent NASA spacecraft observations of mineral deposits, Jakosky and Edwards estimate that these would likely yield less than 5% of the require pressure each. What’s more, accessing even the closest minerals to the surface would require significant strip mining, and accessing all the CO2 attached to dust particles would require strip mining the entire planet to a depth of around 90 meters (100 yards). Accessing carbon-bearing minerals deep in the Martian crust could be a possible solution, but the depth of these deposits is currently unknown. In addition, recovering them with current technology would be incredibly expensive and energy-intensive, making extraction highly impractical. Other methods have been suggested, however, which include importing flourine-based compounds and volatiles like ammonia. The former was proposed in 1984 by James Lovelock and Michael Allaby in their book, The Greening of Mars. In it, Lovelock and Allaby described how Mars could be warmed by importing chlorofluorocarbons (CFCs) to trigger global warming. While very effective at triggering a greenhouse effect, these compounds are short-lived and would need to be introduced in significant amounts (hence why the team did not consider them). The idea of importing volatiles like ammonia is an even more time-honored concept, and was proposed by Dandridge M. Cole and Donald Cox in their 1964 book, “Islands in Space: The Challenge of the Planetoids, the Pioneering Work“. Here, Cole and Cox indicated how ammonia ices could be transported from the outer Solar System (in the form of iceteroids and comets) and then impacted on the surface. However, Jakosky and Edwards’ calculations reveal that many thousands of these icy objects would be required, and the sheer distance involved in transporting them make this an impractical solution using today’s technology. Last, but not least, the team considered how atmospheric loss could be prevented (which could be done using a magnetic shield). This would allow for the atmosphere to build up naturally due to outgassing and geologic activity. Unfortunately, the team estimates that at the current rate at which outgassing occurs, it would take about 10 million years just to double Mars’ current atmosphere. In the end, it appears that any effort to terraform Mars will have to wait for the development of future technologies and more practical methods. 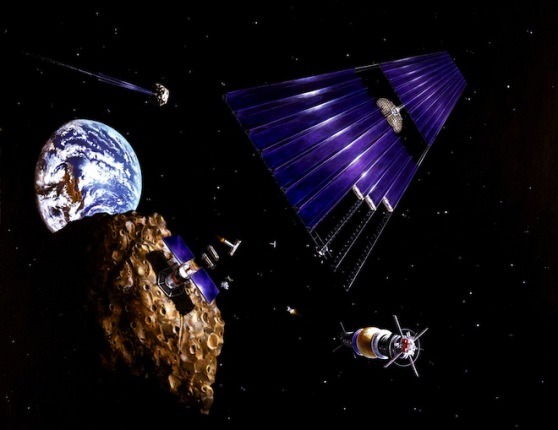 These technologies would most likely involve more cost-effective means for conducting deep-space missions, like nuclear-thermal or nuclear-electric propulsion. The establishment of permanent outposts on Mars would also be an important first step, which could be dedicated to thickening the atmosphere by producing greenhouse gases – something humans have already proven to be very good at here on Earth! There’s also the possibility of importing methane gas from the outer Solar System, another super-greenhouse gas, which is also indigenous to Mars. While it constitutes only a tiny percentage of the atmosphere, significant plumes have been detected in the past during the summer months. This includes the “tenfold spike” detected by the Curiosity rover in 2014, which pointed to a subterranean source. If these sources could be mined, methane gas might not even need to be imported. For some time, scientists have known that Mars was not always the cold, dry, and inhospitable place that it is today. As evidenced by the presence of dry riverbeds and mineral deposits that only form in the presence of liquid water, scientists have concluded that billions of years ago, Mars was a warmer, wetter place. 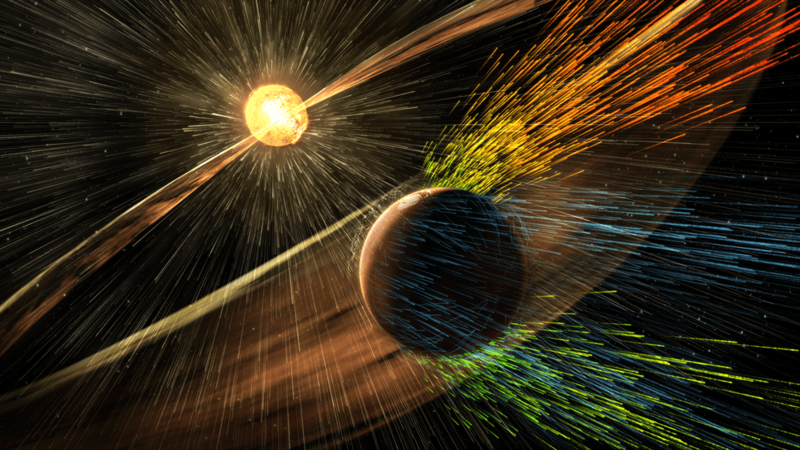 However, between 4.2 and 3.7 billion years ago, Mars’ atmosphere was slowly stripped away by solar wind. This discovery has led to renewed interest in the colonizing and terraforming of Mars. And while transforming the Red Planet to make it suitable for human needs may not be doable in the near-future, it may be possible to get the process started in just a few decades’ time. It may not happen in our lifetime, but that does not mean that the dream of one-day making “Earth’s Twin” truly live up to its name won’t come true. Astronomy Cast Ep. 439: Destroy and Rebuild, Pt. 3: How Do We Terraform Earth? We always want to talk about how we can make Mars more Earth like, but the reality is that we’re making Earth more Venus-Like. We’re Venusforming Earth. What are the various factors we’re impacting on a global scale, and how can we fix them? If you’ve seen at least one other episode of the Guide to Space, you know I’m obsessed about the Fermi Paradox. This idea that the Universe is big and old, and should be teeming with life. And yet, we have no evidence that it exists out there. We wonder, where are all the aliens? Ah well, maybe we’re in a cosmic zoo, or maybe the Universe is just too big, or the laws of physics prevent any kind of meaningful travel or communications. Fine. I doubt it, but fine. As we’ve demonstrated here in our own corner of the galaxy, it’s not our weak fleshy bodies that will be doing the hard work of exploring the Solar System, and eventually the galaxy, it’ll be the robots. So a better question might be, where are all the robots? At the time that I’m writing this video, we’re in October of 2016. If you’re watching this on a video device years in the future, the robot uprising and apocalypse hasn’t happened yet. The most sophisticated walking robots can barely lurch around and they’re laughably slow, 3D fabrication is an inefficient process, and our artificial intelligence devices are pretty dumb, barely able to understand when I ask for directions. But even so, our robots have helped us explore the Solar System, and helped us see things with cameras that our fleshy meat eyeballs may never experience. Robots from Earth have orbited asteroids, visited comets, observed Mars from orbit and the ground, and even flown past Pluto. In the coming decades, many new robotic missions will continue this era of exploration, maybe floating in the cloud tops of Venus, sailing the hydrocarbon seas of Titan, flying in the skies of Mars, or exploring the vast oceans under the ice of Europa. The smooth expanse of the informally named Sputnik Planum (right) is flanked to the west (left) by rugged mountains up to 11,000 feet (3,500 meters) high, including the informally named Norgay Montes in the foreground and Hillary Montes on the skyline. The backlighting highlights more than a dozen layers of haze in Pluto’s tenuous but distended atmosphere. It makes sense then, for us to eventually get around to sending a robotic spacecraft to another star. Based on our current technology, it’ll be incredibly complicated and expensive, but there’s nothing in the laws of physics that prevents it. And if we’re going to send a robot to another star system, we might as well make it a factory, capable of creating another version of itself. Find an asteroid with all the raw materials to make more robot factories, and send them off to other stars, where they can make more copies, and so on, and so on. What I’m describing is the concept of a von Neumann probe, named after the mathematician John von Neumann. He was investigating the implications of self-replicating robots in the 1940s, and imagined non-biological “Universal Assembler”, devices that could make copies of themselves. Von Neumann didn’t apply the idea to spacecraft, but others like George “Spheres” Dyson understood that out in space, there was a nearly limitless amount of raw materials for spacecraft to build copies of themselves. Even though the Milky Way measures 120,000 light-years across and contains 100 to 400 billion stars, self-replicating robot factories traveling at just 10% the speed of light could colonize the entire galaxy in about 10 million years. That’s the power of exponential exploration. The rising Milky Way at Sentosa Island in Singapore. Credit and copyright: Justin Ng. Think about it. All it takes is for a single clever alien engineer to craft a single robotic factory. That factory builds copies of itself which fly off to other stars. Once they get there, they build more copies of themselves, and so on and so on. Seriously, in the 13.8 billion years that the Universe has been around, why didn’t a single alien engineer do this? The cosmologist Frank Tipler concluded that this was such an obvious thing to do that he wrote a paper in the 1980s called “Extraterrestrial intelligent beings do not exist.” Carl Sagan found the argument troubling, proposed that aliens would be concerned with environmental collapse and would restrict the use of this kind of technology. Why haven’t we received signals from extraterrestrials yet? Maybe because it’s inefficient. It’s much more efficient to send physical probes to communicate with other civilizations. Remember 2001? I know it was a pretty complicated movie, but that was the point. 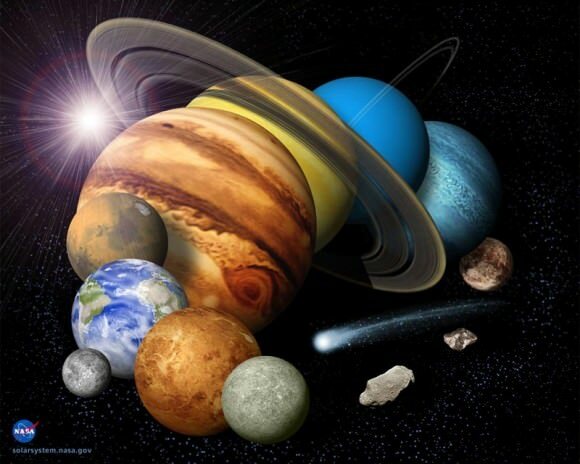 The aliens let us know we’re not alone by sending their robotic spacecraft to our Solar System. That’s what those monoliths were for. Well, sort of. They were a message, they were a kind of encyclopedia, an evolutionary accelerator and doomsday device, all rolled up in one. Still think it’s important to take your fleshy meat body to experience other worlds personally? No problem. Modify your von Neumann probes to be terraforming probes. Instead of merely building factories, they travel to other star systems, identify the planets that could be made habitable for humans, and then get to work. We’ve written many articles about what could be done to terraform worlds here in the Solar System, and that work would mostly be done with robots anyway. Some robots could redirect asteroids and comets to supply raw materials, robotic shades to cool planets down, ground-based factories could change the atmosphere to something breathable. You could even imagine robotic nurseries, carrying seeds and genetic material for plants and animals. 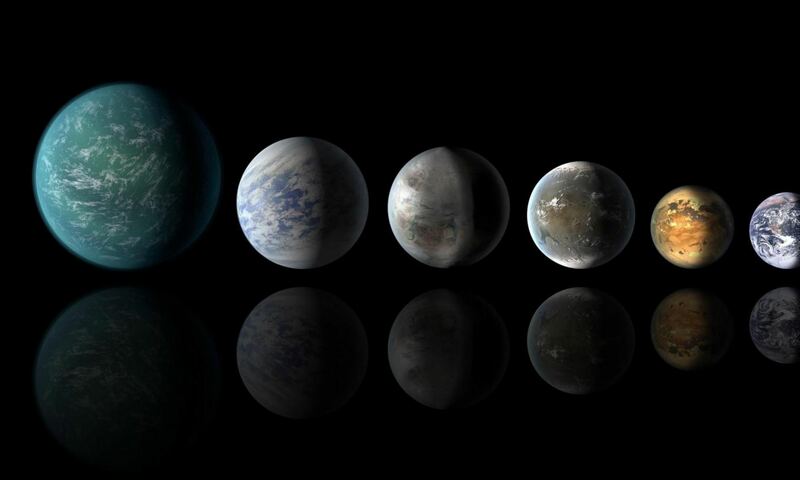 They could get these planets livable, so that when our descendants arrive, the world is ready to go and fully habitable. There’s a darker idea too, the concept of Berserker Probes. These were first put forth by the science fiction author Fred Saberhagen. Imagine aliens send an initial scouting robotic spacecraft to a star system to search for life, and any possible competition to the colonization of the galaxy. If a potential competitor is found, the robotic spacecraft redirect a bunch of asteroids at the habitable planet to scour it free of life. Then the terraforming robots move in and make the place livable for the aliens. And then the aliens move in, blissfully unaware of who used to live on the planet. Maybe other aliens anticipating this threat, create their own police von Neumann probes, designed to seek out Berserkers and defend against them. If you play video games, the best telling of this story is through the Mass Effect series, and their Reapers. Edge of Tomorrow was about defending Earth from terraforming robots. Although I find the Fermi Paradox puzzling, I get that it’s probably hard for aliens to travel and communicate across the vast distances of space. But shouldn’t we at least see their robots? Actually, based on what I just said, I’m think I’m okay if we never meet their robots. Want to learn more about von Neumann probes? PBS Space Time just did a great video on it too. You should check it out.